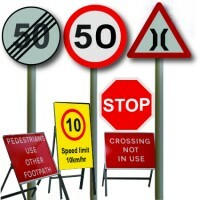 From our workshop we manufacture and supply Quality Road Traffic Signs both for Permanent and for Temporary use. Our Road Traffic Signs conform to required standards, and is produced by skilled technicians to ensure that our clients are provided the best Road Traffic Sign in East Africa. 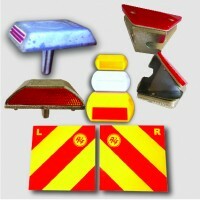 Through many years of experience dealing in this sector, we have build relationship with reliable suppliers of Road Traffic Equipments, and we are therefore comfortable to say that we are a reliable supplier of Road Traffic Equipments conforming to required standards. 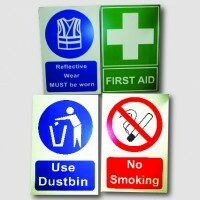 We are the only company in East Africa to introduce the techniques of Screen Printing, which provides a long lasting and high quality Safety Sign to be used for Health and Safety and Branding in Factories or other Buildings. 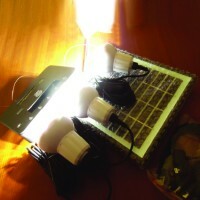 Our Solar Home Lightning Kit is affordable and the best in the East African Market. We design signs based on the approved standards of the Ministry of Transport and the Uganda National Roads Authority. However we also take care to keep up to date with global standards, trends and technological advancements. Our sign manufacturing processes combine the latest technology of fabrication with many years of experienced craftsmanship to produce the high quality signs needed by the market. Our factory boasts of the latest computerized machinery and equipment to meet the highest standards and quality for all Road Furniture objects.